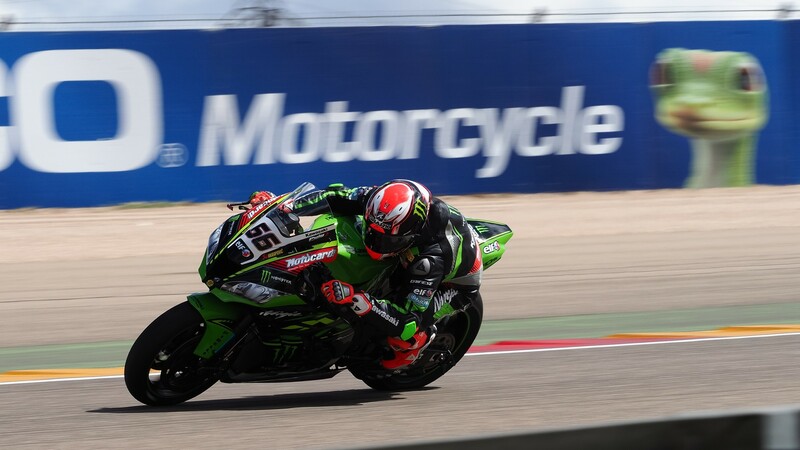 With the sun finally shining down on the fans at MotorLand Aragon, the fight to enter tomorrow’s Superpole 2 truly got underway, with every rider outperforming their previous best times from FP1 by ten seconds or more. 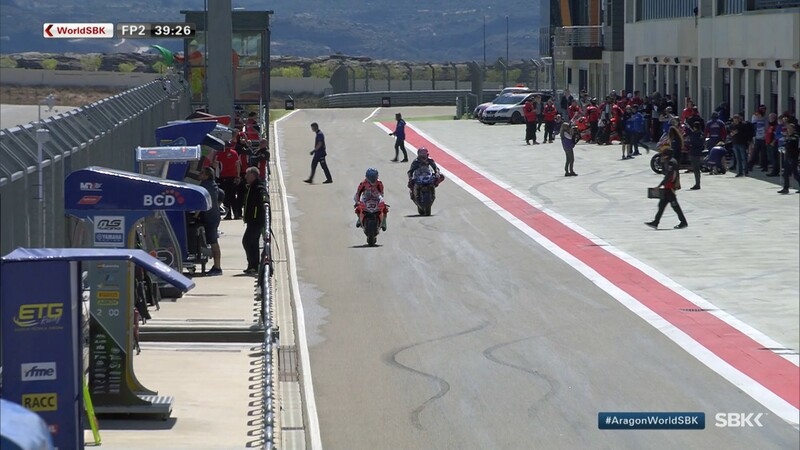 At the end of the session it was Marco Melandri (Aruba.it Racing – Ducati) at the top, being the first to beat the 1’51 mark on his final lap and remaining there, with Jonathan Rea (Kawasaki Racing Team WorldSBK) close behind, inverting their FP1 positions. 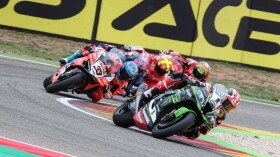 Until the last laps it was a heated battle between Tom Sykes (Kawasaki Racing Team WorldSBK) and Chaz Davies (Aruba.it Racing – Ducati) at the top, with the two British riders exchanging fastest laps. They finish the session third and fourth. Michael van der Mark (Pata Yamaha Official WorldSBK Team) repeated his FP1 placement in fifth, followed by the Spanish duo of Jordi Torres (MV Agusta Reparto Corse) and Xavi Fores (Barni Racing Team) close behind in sixth and seventh, eager to please the home fans. 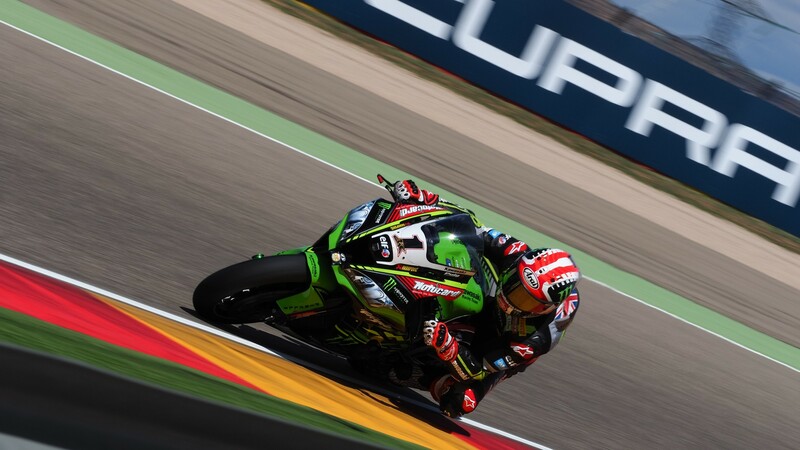 Alex Lowes (Pata Yamaha Official WorldSBK Team) made it in at eight, with Italian riders Michael Ruben Rinaldi (Aruba.it Racing – Junior Team) and Lorenzo Salvadori (Milwaukee Aprilia) closing the top ten and the list of riders who managed to race under 1’52. Last year’s STK1000 champion’s times progressed consistently throughout the session, showing promise for his WorldSBK debut this weekend. 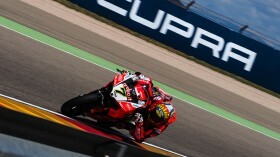 Leon Camier (Red Bull Honda World Superbike Team), who came in third in FP1, could only finish twelfth, behind Davide Giugliano (Milwaukee Aprilia), and will have to fight hard to enter tomorrow’s Superpole. 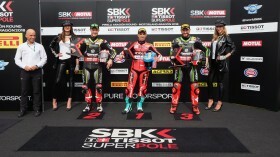 Who will make it to the Superpole 2? 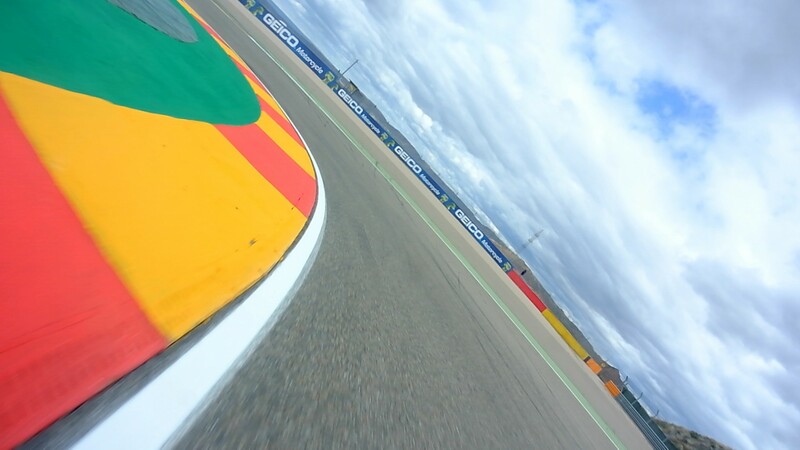 Find out live at 16:05 (14:05 GMT) thanks to the WorldSBK VideoPass, with post-practice reactions, videos and much more exclusive content!